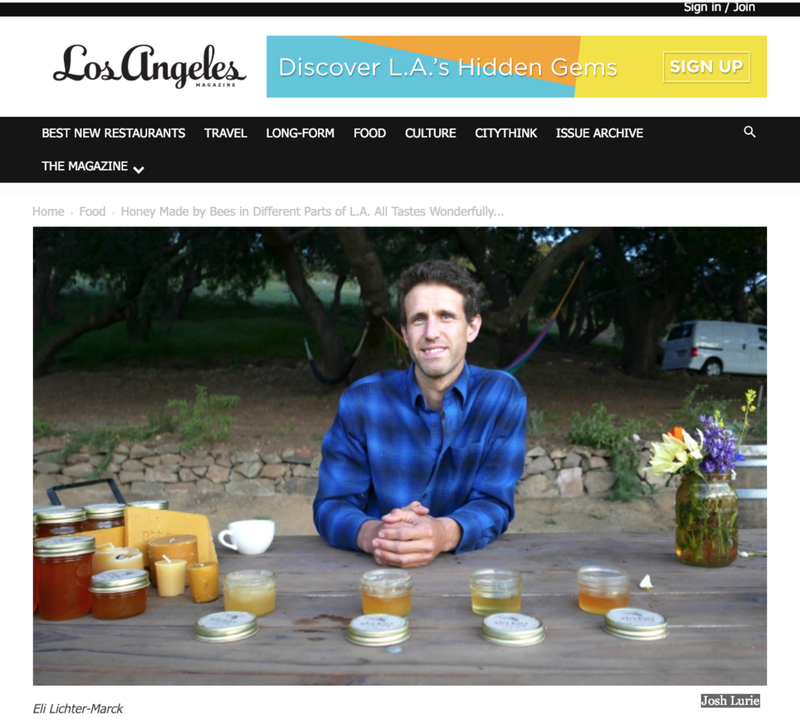 A short article in LA MAGAZINE about the honey tastings we put on at events around the Los Angeles area showcasing all the varieties of honey we harvest from our bees. I was lucky enough to sit down with Zooey Deschanel for an interview for her latest series on reconnecting with our foods. We sat down and talk about bees, tasted some honey and then suited up and inspected some hives. Beekeeper Eli Lichter-Marck of Eli's Bees shares his knowledge of the honey-making process, local honey varieties and bee ecology. Guests are invited to explore the inside of a hive and taste different honeys. This is a series featuring Butchy Fuego’s through hike along the backbone trail in Los Angeles County. The first episode features a short interview with the bees living at near Will Rodgers Park, where the backbone trail begins. My interview begins at minute 05:00. Short piece on keeping bees in the Pacific Palisades for our local news paper.